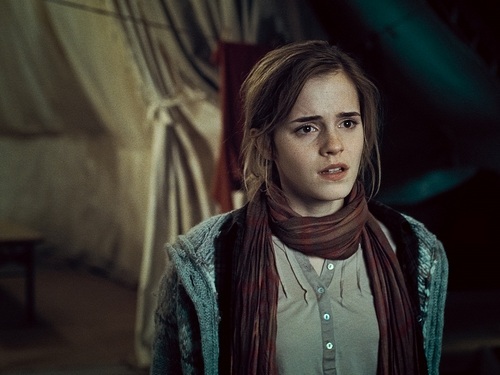 Hermione Granger پیپر وال. Hermione Granger پیپر وال - Harry Potter and the Deathly Hallows Part 1. HD Wallpaper and background images in the Hermione Granger club tagged: hermione granger ♥ harry potter hermione hermione wallpaper emma <3. This Hermione Granger wallpaper might contain اچھے کپڑے پہنے شخص, سوٹ, پتلون سوٹ, pantsuit, اچھی طرح کپڑے پہنے ہوئے شخص, پنٹساٹ, پہناوا, overclothes, آؤٹر, اوورکلوتھیس, پورٹریٹ, آرچر, closeup, تصویر, and ہیڈشوٹ.